Dendrochronology and tree ring chemistry. 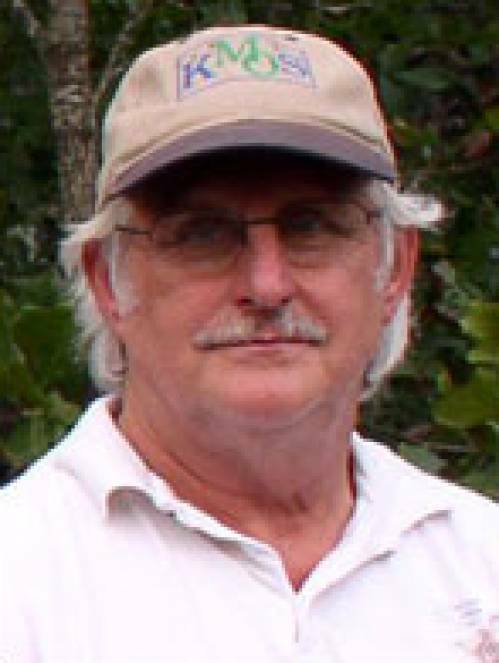 Guyette’s research involves the use of tree rings for monitoring tree growth and the environment. Currently he is working in several areas of dendrochronology. These include: determining pre-settlement fire frequency in oak-pine forests, reconstructing long-term climatic records from annual growth increments of eastern red cedar, and using calcium concentrations in tree rings as a transpiration variable. Guyette, R.P., M.A. Spetich, and M.C. Stambaugh. 2006. Historic fire regime dynamics and forcing factors in the Boston Mountains, Arkansas, USA. Forest ecology and management. 234:293-304. Guyette, R.P., M.C. Stambaugh, R.M. Muzika, and D.C. Dey. 2006. Fire scars reveal variability and dynamics of eastern fire regimes. In: (Dickinson, M. B., ed.) Fire in eastern oak forests: delivering science to land managers, proceedings of a conference; 2005 November 15-17; Columbus, OH. Gen. Tech. Rep. NRS-P-1. Newtown Square, PA: U.S. Department of Agriculture, Forest Service, Northern Research Station. 304 p.
Guyette, R.P., R.M. Muzika, and A. Stevenson. 2006. Rotation length based on a time series analysis of timber degrade by oak borers. Proceeding of the Central Hardwood Conference. Knoxville TN 2006. Guyette, R.P., M.C. Stambaugh, A. Lupo, R.M. Muzika, and D.C. Dey. 2006. Oak growth in Midwestern North America linked with post glacial climate epochs in the North Atlantic. PAGES News 14(2): 21-22. Shlisky, A.J., R.P. Guyette, and K.C. Ryan. 2005. Modeling reference conditions to restore altered fire regimes in oak-hickory-pine forests: validating coarse models with local fire history data. Eastfire Conference, George Mason University. Fairfax Virginia. Muzika, R.M. and R.P. Guyette. 2004. A dendrochronological analysis of red oak borer abundance. In: (Spetich, M.A. ed.) Upland Oak Ecology Symposium: history current conditions, and sustainability. Gen. Tech. Rep. SRS-73. Asheville, NC: U.S. Depart. of Agriculture, Forest Service Southern Res. Stat. 311 p.
Stambaugh, M.C., R.P. Guyette, and C. Putnam. 2005. Fire in the pines: a 341 year fire history of Big Spring, Ozark National Scenic Riverways. Park Science, 23:43-47. Guyette, R.P., M.C. Stambaugh. 2004. Post oak fire scars as a function of diameter, growth, and tree age. Forest Ecology and Management. Forest Ecology and Management. 198:183-192. Muzika, R.M. Guyette, R.P., T. Zielonka, and A.M. Liebhold. 2004. The influence of O3, NO2, and SO2 on growth of Picea abies and Fagus sylvatica in the Carpathian Mountains. Environmental Pollution 130:65-71. Guyette, R.P., M.C. Stambaugh and D.C. Dey 2004. Ancient oak climate proxies from the agricultural heartland. EOS, Transactions, American Geophysical Union. 85(46):483 p.
Stambaugh, M.C. and R.P. Guyette. 2004. The long-term growth and climate response of shortleaf pine at the Missouri Ozark Forest Ecosystem Project. In:(Yaussy et al. eds.) The Proceeding of the 14th Central Hardwoods Conference, Delaware, Ohio. USDA Forest Service GTR NE-316. pp 448-458. Guyette, R.P. and M. Spetich. 2003. Fire history in the Lower Boston Mountains. Forest Ecology and Management. 180:463-474. Guyette, R.P. and M.C. Stambaugh. 2003. The age and density of ancient and modern oak wood in streams and sediments. IAWA (International Association of Wood Anatomists) Journal. 24:345-353 p.
Guyette, R.P. Dey, D.C, and M.C. Stambaugh. 2003. Fire history of an Indiana oak barren. American Midlands Naturalist. 149:21-34. Guyette, R.P. and J. Kabrick. 2003. The legacy of forest disturbance, succession, and species at the MOFEP sites. In:(S. Shifley, eds.) The Proceeding of the Second Missouri Ozark Forest Ecosystem Project Symposium. USDA Forest Service GTR NC-227. Stambaugh, M.C., R.M. Muzika, and R.P. Guyette. 2002. Disturbance characteristics and overstory composition of an old-growth shortleaf pine (Pinus echinata Mill.) forest in the Ozark Highlands, Missouri, USA. Natural Areas Journal 22:108-119. Guyette, R.P. W. G. Cole, D.C. Dey, and R.M. Muzika. 2002. Perspectives on the age and distribution of large wood in riparian carbon pools. Canadian Journal of Fisheries and Aquatic Sciences 59:578-585. Guyette, R.P. R.M. Muzika, and D.C. Dey. 2002. Dynamics of an anthropogenic fire regime. Ecosystems. 5(5): 472-486. Dey, C.D., and R.P. Guyette. 2000. Anthropogenic fire history and red oak forests in south-central Ontario. Forestry Chronicle 76(2):339-347.